We’re often asked how we teach such young kids Python. What is a good age to start teaching Python to kids? This is an area where Kinvert excels and has a lot of experience. We’ll tell you a bit about how we teach kids Python, and what is a good age to start teaching kids this user friendly yet powerful language. They don’t. Most teach Scratch and stop there, leaving a huge gap between what kids learned in their classes, and what they’ll be doing in college. Let alone what will be expected of them in the future if they do get a job in Python coding. Why is this? Python requires more expertise and background than Scratch to teach. 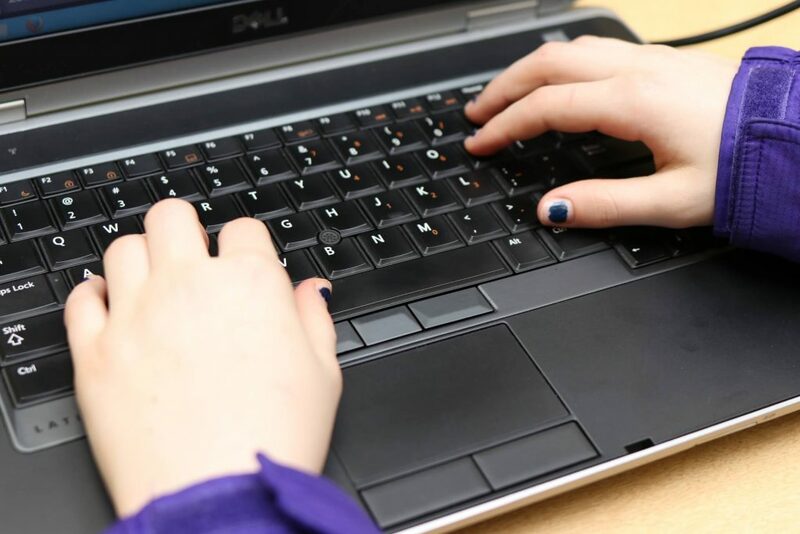 It is also more difficult to simply find existing curriculum online and copy it. Though there are other STEM Educators out there who do go through the effort to make their own curriculum, this does not seem to be common. Don’t get me wrong, it’s a great stepping stone. If you want to know more check out our Ultimate Guide to Block Coding. After a fair bit of research it seems like the vast majority of other STEM educators wait until the age of 10-13 and up before teaching kids Python. If they teach Python at all. Even when they do teach Python, it seems that often Python takes a back seat to Scratch, Lego, and Minecraft. The youngest so far that we have successfully taught was 6 years old. The biggest barrier in my opinion to teaching young kids Python is their reading and typing abilities. By far. If you have younger aged kids who are interested in learning Python, and you want them to hit the ground running, then make sure to brush up on their reading and typing skills. General computer skills can also contribute to a good experience when teaching kids Python. Some children come to class not knowing how to save a file, or minimize a window, or even not knowing how the enter key works. Working with your children in these areas will give them a big leg up. Please keep in mind, if you intend to teach kids under the age of 10 how to code in Python it tends to be a lot more hands on. Younger kids tend to be less self guided, have shorter attention spans, and require more guidance than older students. We have many classes, camps, and courses that teach kids Python. 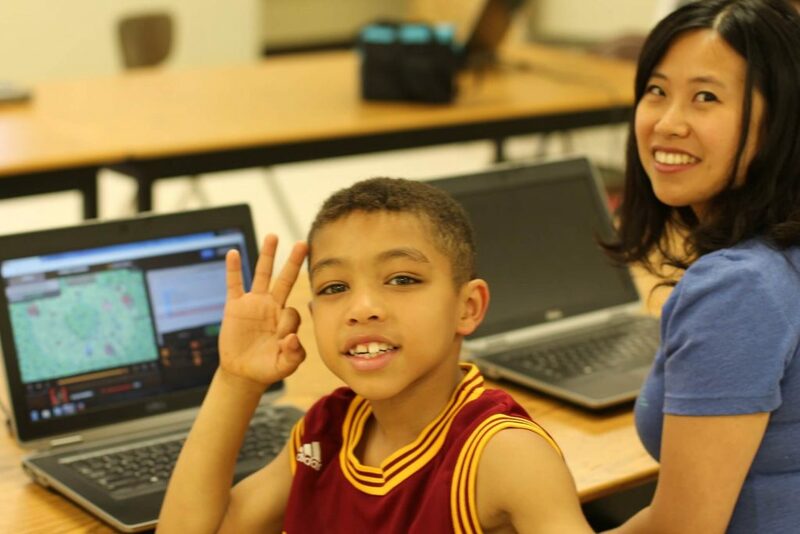 One of our flagship classes is Coding for Kids and Teens. We have several methods for teaching Python to kids, including using the Anki Cozmo SDK Python Programmable Robot for Kids. We also use Cozmo in Robotics for Kids and Teens. An important factor in our success with teaching Python to students of such a young age is our teaching philosophy. See our About page. Also, compared to other companies that focus more on Scratch, Lego, and Minecraft, Kinvert blows them away in Python. Since Python is such a big part of Kinvert’s focus, we are much more invested in teaching it and can handle younger kids. I think the curriculum others find wasn’t designed for kids younger than 10. Or they can’t find/afford, or even maybe don’t care to find instructors with enough background and the ability to explain Python in ways kids can understand at a young age. While many companies find curriculum online, Kinvert is different. We make our own curriculum. Kinvert is proud to be the innovator in STEM. We haven’t seen any other company teach full semester K-12 classes or Summer camps yet with the Cozmo SDK like we do. Kinvert is able to teach children Python as long as they can type well and read. Like many other things we teach, since it is so difficult to teach at the level we do, the difference really shines through. We are one of the few to teach Robotics above the level of Lego/Sphero/Dot-Dash etc. The difference between us and the rest here is clear. The same is true in Python. The accomplishments our students can make, and just how young we can teach stands out. So what is the youngest age that you should teach kids Python? At the youngest ages, this depends on reading and typing. After that, it will depend on what curriculum you find, and how simply you can explain key concepts. Some of you won’t have time to learn Python at a level that you feel comfortable teaching it. You may have guessed by now that the final is, it depends. If you know Python in and out, and can explain it in simple terms, the limit is likely reading and typing. That is around age 6. Once a kid is around 14, if you find a good online system they have a good chance of learning it on their own. We have found that kids outgrow Scratch at around the age of 8. This seems to be a good sweat spot and I think 8 years old is a good target. We have taught 6 year olds, but again we have a lot of experience in this. 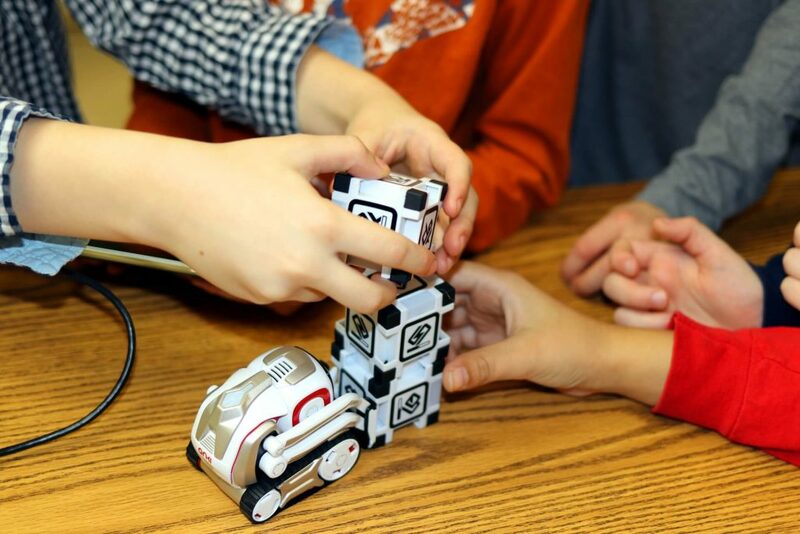 Here is an article on Cozmo Curriculum for K-12 Education. We also have an article on the Vector SDK and Vector Examples. Hopefully this was helpful. If you have any questions or comments please let us know. If you’re a parent you should also consider reading our Ultimate Guide to Homeschool Robotics. If you’re new to robotics check out What is Robotics? My 11-year-old has been interested in “coding” with Scratch and recently bought a book on Scratch coding. I must confess I thought it was another “computer game” type of activity. That is, until I read your articles no I’m inclined to give him much more time and wider latitude. That said, how do I get him into learning other types of coding? Where does he/can we go for “structured” learning? I would strongly suggest getting him to start looking at Python. A lot of Python can be learned through YouTube videos. Parallax ActivityBot – I can sell you this directly if you let me know you want it. Using those links above will help Kinvert by getting us a small percentage of the sale without costing you a penny more. It’s a little tough to decide between Cozmo and Vector based on what I heard. Cozmo tends to be more fun and Vector seems to have more overall EVENTUAL potential. They are both programmable in Python which is what we recommend kids learn. The Parallax ActivityBot is great because it’s a full on robot that kids build, wire up, and program. If you look at our article on Maker Faire 2017 for example you’ll see some robots built with parts from the Parallax ActivityBot. Also in the Cozmo and Vector Talking video we made you can see 2 of these robots in the background. Please let me know if you have any other questions at all. We’re here to help! Ultimately you can’t go wrong with any of these 3 robots. If you do get 2, I’d make sure one is a Parallax ActivityBot.